A selection of foodie nibbles for November. I know the BBQ season has disappeared without a trace, but that doesn't mean you can't enjoy these sauces from Jack Daniels®. They are made using real Jack Daniel's® Tennessee Whisky, which comes directly from the distillery in Lynchburg. I tried the 'Full Flavour Smokey' - which had a rather nice warm hickory flavour, and the 'Hot Pepper' sauce - a delicious bbq sauce that has been blended with jalapenos for a spicy kick. Both the sauces can be used as dipping sauces, or try brushing them over vegetables and meats before cooking. The 'Full Flavour Smokey' is probably the bbq sauce I would go out and buy, as we all enjoyed it and it's not too hot for children either. The sauces can be found in most of the major supermarkets and sell from £1.99. 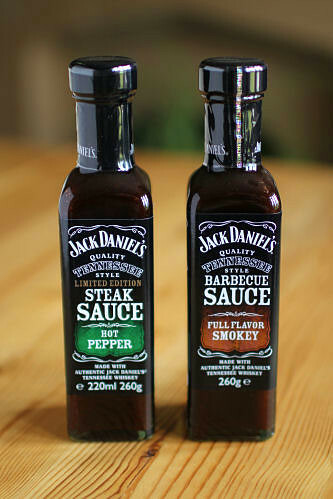 More information on the sauces can be found on the Jack Daniel's website. 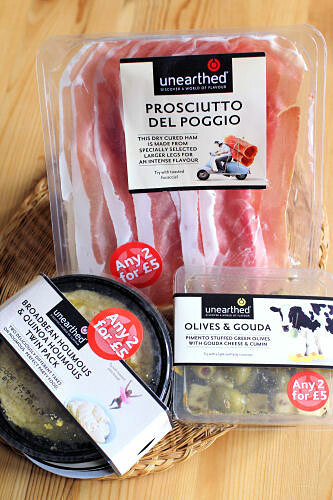 'Prosciutto del Poggio' - a dry cured ham with an intense flavour, rather fabulous on pizza. 'Olives & Gouda' - pimento stuffed green olives with cubes of Gouda cheese. We all liked the cumin seeds and thought the flavour went really well with the cheese. It comes with a lid to keep any leftovers fresh. 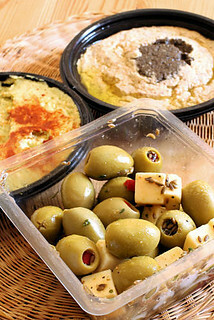 'Broadbean Houmous & Quinoa Houmous' - a twin pack of dips that complement each other. You can serve straight from the smart black plastic containers. The quinoa houmous had a generous helping of black olive tapenade, and (our favourite) the broad bean dip had a lovely taste of sesame and garlic. Did you know that Unearthed makes a donation from every pack they sell to support Action Against Hunger? More information on the Unearthed® website and Facebook. They are also on Twitter. I had a little gift given to me recently. My sister spotted these chocolate covered chillies and was kind enough to get me some. The chillies have been cut into strips and look like they have been given the sugar treatment that results in a candied/crystallised chilli (much like a candied orange peel). 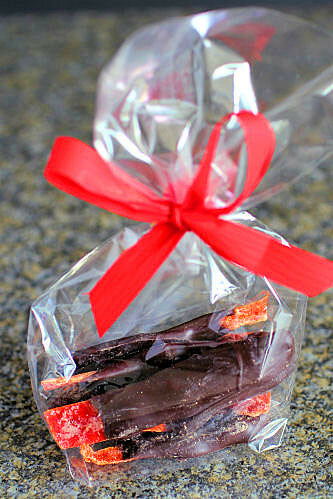 Then they have been dipped in dark chocolate - chilli and chocolate - wow! There's this warm glow that you get after eating one, not overpowering at all, just leaves you with a very happy mouth! More information on the Madame Oiseau website and Facebook page. Also on Twitter. Thanks for all the products I was sent. I was not paid to write this post and all views expressed above are my own. Labels: Product Review, Reviews, Tested, Tried and Tasted! Chocolate Delice - Oh Yes! !